For me, reading an advance copy of Qiu Xiaolong’s wonderful novel SHANGHAI REDEMPTION was the next best thing to getting on a plane and flying to the most populous city in the world. 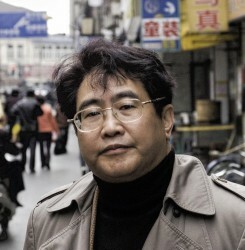 His crime series featuring Chief Inspector Chen of the Shanghai Police Department is full of true-to-life lagniappe woven expertly into the book, reminiscent of Andrea Camilleri’s hugely popular Inspector Montalbano series (whose protagonist, like Inspector Chen, has an addiction to the gastronomic delights of his home country) or Josef Škvorecký’s inimitable Lieutenant Boruvka, who works homicide cases in the Czech Republic while he navigates a Kafkaesque bureaucracy. Xiaolong’s biography could be the subject of a novel in its own right. Today he is an accomplished poet and novelist, but growing up in Socialist China, where nearly all literature was banned (unless one wanted to read the scintillating poems of Chairman Mao), he discovered literature by reading bootlegged copies of Sherlock Holmes and Jane Austen. The Inspector Chen series has sold over a million copies and has been translated into twenty languages. It has been nominated for numerous awards, and the Wall Street Journal named Death of a Red Heroine as one of the five best political novels of all time. 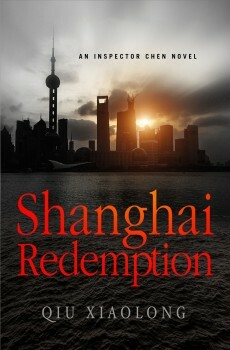 His latest novel, SHANGHAI REDEMPTION, drops on September 15. Here’s Qiu in his own words. Thanks for taking the time to chat, Qiu. We’re thrilled to have you. Can you tell us a bit more about your fascinating background and how you came to live in the United States? I was born and brought up in Shanghai. The beginning of my middle school years coincided with the Cultural Revolution (1966-1976); as a “black puppy,” * I suffered discrimination and humiliation along with my family, and then as one staying home on sick leave during the national campaign of “educated youths going to the countryside to receive reeducation from the poor-and-lower-middle class peasants,” out of school, and out of a job, I had nothing else to do but study English by myself in Bund Park. After the end of the Cultural Revolution, ironically, I was able to enter college with one of the highest scores in English in the city. Then I got my first MA at the Chinese Academy of Social Sciences in the early ’80s and worked at the Shanghai Academy of Social Sciences. In the meantime, I started writing poems and translating Western poets like Eliot and Yeats. My writing in Chinese won several awards and I was selected for the membership in the Chinese Writers’ Association. In 1988, I came to the United States as a Ford Foundation Fellow with a one-year research plan for a book about Eliot. Before the year was over, however, the Tiananmen tragedy happened, and I got in trouble because of my effort to raise money in St. Louis for the students in Beijing. My poetry collection was unable to come out in China even though I had finished the final proof. So I decided to stay on by studying for a Ph.D. at Washington University in St. Louis and to write in English instead. To quote a favorite proverb of Inspector Chen’s: “through the causality of misplaced yin and yang,” I have lived here now for more than 20 years, and published more than 10 books in English. What was it like to be a budding artist during China’s Cultural Revolution? I was no “budding artist” during the Cultural Revolution. For one thing, “artist” was a negative, “black” word those years, with most of the books burned as politically poisonous, writers and artists condemned or persecuted, movies or plays banned except for the “eight revolutionary modern model Peking operas” for the Maoist brain-washing. People, if caught reading anything other than Mao’s work, could get into trouble. If there’s anything close to the feeling of being a “budding writer,” it happened when I had to write for my sick father, who was in the hospital, a guilty-pleading statement, which Red Guards approved, to my surprise, on the first try. After Nixon’s visit to China in 1972, English books came creeping back into a sort of gray area, as the government allowed people to study foreign language for the sake of “fighting against imperialists.” Luckily for me, I got a pocketbook of English and American poetry, which inspired me to write, but like others, I had to be very careful, discussing my work with only a few close friends in secret. I did not publish a single poem—nor was it possible—until the early ’80s. You’ve written in both English and Chinese—how do the two languages compare as a vehicle for poetry and prose? In relation to the problems I’ve encountered in writing the Inspector Chen series, I recently wrote an article “Cooking With Words” in English, in a sort of Whorfianist argument, maintaining that language affects the ways in which its speakers conceptualize their world, and then I rewrote (rather than translated) the article in Chinese. For the question about how the two languages work as a vehicle for poetry and prose, let me give you some concrete examples. I have translated poems from English into Chinese and vice versa; for poetry, the classical Chinese language seems to work with more flexibility and ambiguity, as it does not worry about verb tense, conjunction, or even the subject. But for prose, it depends more on what kind of texts you are dealing with. If you want me to write an academic paper, I’ll probably find the English easier, which seems to be more precise at least. Can you describe your route to publication as a novelist? It’s quite an accidental route. I started by writing and translating poems, as you know. In 1995, when I made the first trip back to China after spending eight years in the United States, too nervous to go back for fear of political persecution, I was impressed with all the dramatic changes taking place there. So I decided to write about the society in transition. I first produced a poem titled, “Don Quixote in China,” but unsatisfied with the result, I tried my hand at fiction. That’s how I came to work on Death of a Red Heroine, for which my first American publisher Laura Chapman Hruska offered me, to my surprise, a three-book contract, without even an agent. Naturally I felt so flattered, I signed without thinking too much about what to write next. Why did you decide to write a detective series? As mentioned above, I had intended to write a novel about Chinese people’s hard time adjusting to the changes to a society in flux, but having written no fiction before, I had problems putting the material together. Desperate, I resorted to the ready-made framework of a detective story, in which structure I thought I might try to put in what I wanted to say. Then in the course of writing, I found that a cop protagonist actually served my purpose well. For his work, he has to walk around the city, knock on people’s doors, raise all sorts of questions, and gain access to some inside information under the one-party system. A conscientious cop, he observes and investigates, though not always with answers to the sociopolitical problems behind the cases. With the first novel, I did not think of something like a series, but with the three-book contract, I felt obliged. But more importantly, I have to say here, the readers’ warm response to the first book really encouraged me, and the continuous dramatic changes in China keep providing such fascinating material to me. So all this has come into the development of the series. 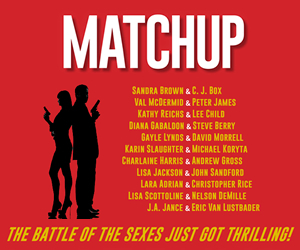 Who are some of your favorite crime novelists, both at home and abroad (past or present)? What about poets? I came to read Sherlock Holmes stories like forbidden fruit during the Cultural Revolution, and then extended my reading list after I came to the States. But for my own writing, I want to mention here two Swedish writers, Maj Sjöwall and Per Wahlöö, with their Inspector Martin Beck series. In contrast to the classic heroes in the genre, it’s an eye-opening experience to find a realistic, almost anti-hero protagonist pushing forward his investigation in the midst of the sociological cobwebs. As for poets, Eliot, Yeats, MacNeice, just to name a few in a long list. Particularly Eliot, not just because of my translation of his work (which was republished the year before last), but more because of his impersonal theory that has taught me how to separate the person who suffers and the author who writes as a craftsman. I’m curious about literature in China—are tastes any different than in the U.S? 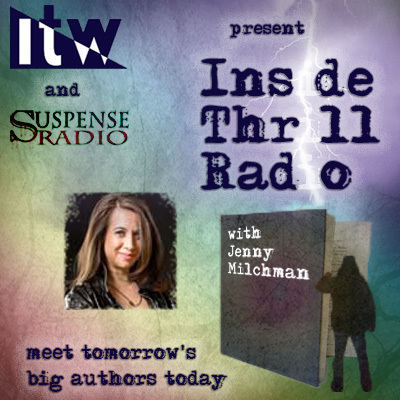 How do thrillers and mysteries fare? That’s a good question. Perhaps the differences in taste have a lot to do with the cultural and social background. For instance, in classical Chinese literature, there’s not such a genre as thriller or mystery. If anything, it’s a sort of sub-genre called gong’an, or judge stories, such as Judge Bao, Judge Shi, and Judge Dee, which, though written by van Gulik, also came under the influence of that group. Now “Judge” here refers to a high-ranking official with real executive power. Judge Bao was actually the Song dynasty prime minister; it’s because a detective or cop would not be able to make a difference in the society then without an established legal system. 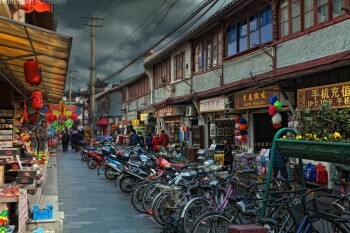 “Xujiahui 2010” by Ricky Qi from Shanghai, China – Autumn in Shanghai. Also, PI did not exist, and not even today as an officially acknowledged profession. 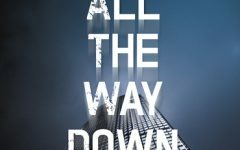 So the story usually involves more about conspiracy and power struggle, and the suspense does not exactly lie in “whodunit,” but in the difficulties or dangers for an honest official in his effort to punish the highly connected criminal, whose identity is known or guessed halfway through. In contemporary Chinese literature, under the one-party rule with the legal system serving the party’s interest, mysteries or crime stories are understandably quite different—invariably with the ultimately right party authorities, and with the limited observation of the society’s seamy side. Consequently, a Chinese cop like Inspector Chen is possible only in fiction in English. Incidentally, the most popular thrillers in China today are in the genre of grave-digging with supernatural horrors and suspense, which flourishes without having to worry about the government censorship since it’s more like an escape from the social realities. I loved SHANGHAI REDEMPTION. It’s a suspenseful read full of wit, compassion, political intrigue, wisdom, and snippets of poetry. I think the idea of having a detective who loves poetry is a brilliant one—it gives your protagonist inherent complexity. In your mind, what is your detective’s fictional “lineage”? Regarding the poetry-loving detective, for one initial consideration, I tried to carry on the tradition of poetry-decked prose in classical Chinese novels, for another, I thought smuggling poems into detective stories may enable poetry to reach more readers in the difficult market. 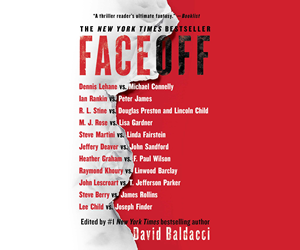 Then I came to the realization, as you put it, that it gives the protagonist an inherent complexity, with the duplex perspectives to look into a case, one of a cop’s, and another of a poet’s, and the two sometimes complementing as well as conflicting. As for the fictional lineage, perhaps Dalgliesh by P. D. James, supposedly another poet detective, but to my frustration, I’ve never read any poems written by him in the novels. So I don’t know whether it really counts. Is it fair to say you use the Inspector Chen series as a vehicle to comment on modern China at the same time you’re entertaining us? How closely do you follow events in China? Yes, you are right to say so. For me, it’s not enough to write just a whodunit. It’s imperative for the chief inspector to explore in what cultural, historical, and social circumstances crimes are committed. That’s why I’ve tried to put each of the stories in a specific context. For instance, in The Mao Case, the shadow of Mao in today’s China; in Don’t Cry, Tai Lake, China’s environmental crisis against the larger background of the ideological crisis; in SHANGHAI REDEMPTION, the uncontrollable corruption under the one-party system. With the Internet, I have been following the events in China quite closely. A Shanghai journalist once said to me, paradoxically, that I’m in a more advantageous position to write about the problems of the country because he, though a journalist for a state-run newspaper, cannot have access to the sensitive or hostile websites due to the governmental Internet control. In addition, having satellite TV with all the Chinese TV channels (initially installed for the benefit of my Chinese-speaking mother-in-law) providing the info from the “official perspective,” it’s fairly easy and convenient to keep myself informed with the latest events in China from multi-perspectives. How is your work received in China? Given the criticism of the Party in your novels, was there a period when they were not allowed to be published? Less than half of the series have been translated and published in China. Some, like The Mao Case, are totally out of the question, but for those translated, there are a lot of cuts and changes. 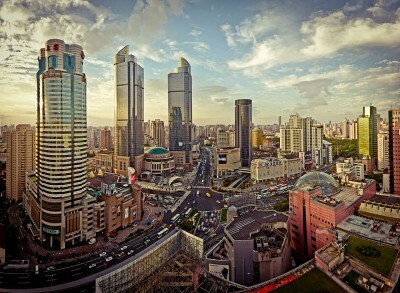 For instance, “Shanghai” disappears in the Chinese text, and in its place, “H city” (H in English). A censorship official said that the story cannot happen in Shanghai, and the publisher had to change it in spite of my protests. And a considerable number of other changes as well, as you may imagine. In the original ending of Death of a Red Heroine, the murderer is quickly executed in a political campaign, but in the Chinese translation, he is waiting for the final punishment. I was not even told of the change beforehand. When I argued with the publisher about it, he said that China in the new century is a country under the rule of law, so there cannot be any writing about executions like that, even though the book is about things in the early ‘90s of the last century. One of my favorite parts of SHANGHAI REDEMPTION was reading about Shanghai itself. How has this fascinating city changed during your lifetime? 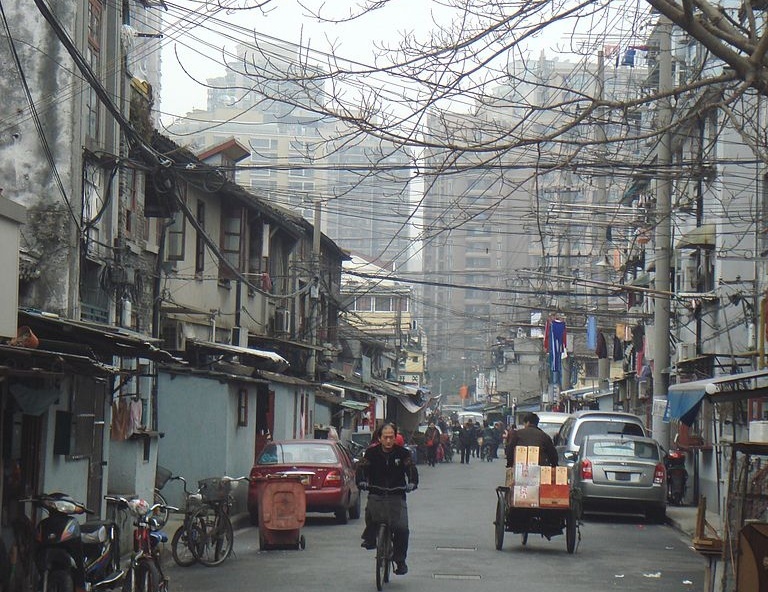 It’s a rewarding experience to write about the ever-changing Shanghai. In Death of a Red Heroine, which is set in the early ’90s with the then-familiar scenes, such as the overcrowded housing, the narrow lanes or shikumen-style neighborhoods, few high buildings, no highway, bikes rather than cars as the main transportation…It’s almost like Proust’s Remembrance of Things Past, with the new meaning emerging in recollection. Just go ahead and try and don’t worry too much about this and that before making the first step. Take me for example. Before Death of a Red Heroine, I had written poems, but not novels or stories, not to mention the fact English is not my native language. But you can never tell what may happen in the course of writing. I do not just mean some unexpected changes in the plot, but what you have earlier seen as disadvantage can turn out not to be so. A poetry-writing training may vary the lyrical intensity of the fiction narration, and the other linguistic background may also contribute some singular sensibility unimaginable in the English language. What can we look forward to next from Qiu Xiaolong? Last year, a French reader asked me, “Who’s after Bo Xilai?” The writing of SHANGHAI REDEMPTION was inspired by the downfall of Bo Xilai, a powerful politburo committee member, and people were already whispering about the next one to fall, Zhou Yongkang, an even more powerful politburo standing committee member in another scandalous corruption case. But the ever-continuous conspiracies and sordid power struggles seem too much for the bookish inspector, so I want to introduce some change in the next book, which is tentatively titled Constructing Inspector Chen. It is a novel of different structure and texture. It consists of chapters of short or not-so-short length, each of which can be read as an independent story, yet linked not only in a chronological way but also related directly or indirectly to Chen, to the other characters in the series, and even to the author of the series (but not necessarily me in the light of Eliot’s impersonal theory), the narration alternating with the first-, second-, and third- person perspectives. It covers the period from Chen’s childhood to the day just before his becoming a chief inspector.